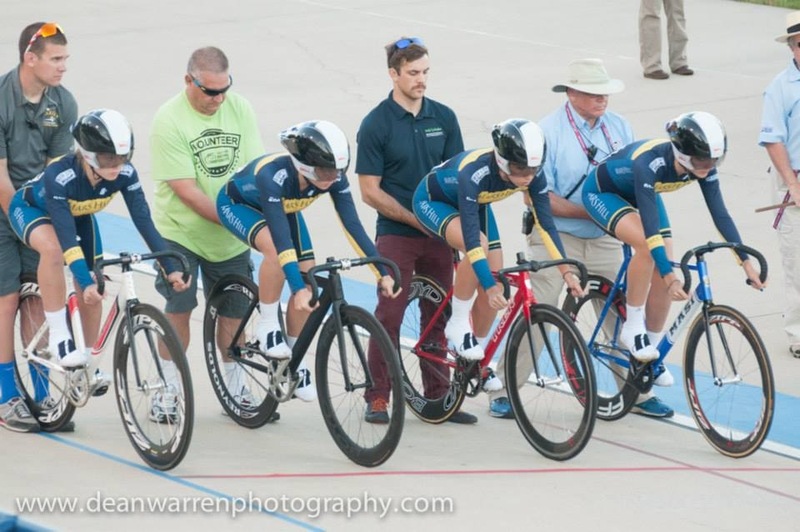 The MHU cycling team competed at its first national championship of the 2014-2015 school year last week, USA Cycling’s Collegiate National Track Championships, where we earned a third place in the team omnium. Along the way we set numerous team firsts and personal bests, including seven top tens in individual events. Day 1: Sprints and Points Race Heats. John Croom and Josie Ritchie competed in the sprints. In the qualifying 200M time trial, Croom was sitting 2nd with an 11.8 after 40 heats. He ended up qualifying a strong 11th. Ritchie had the fastest time after 20 heats with a 13.8 and ended up qualifying 12th. Both won their first round match sprints, advancing to the evening’s 1/8 finals. 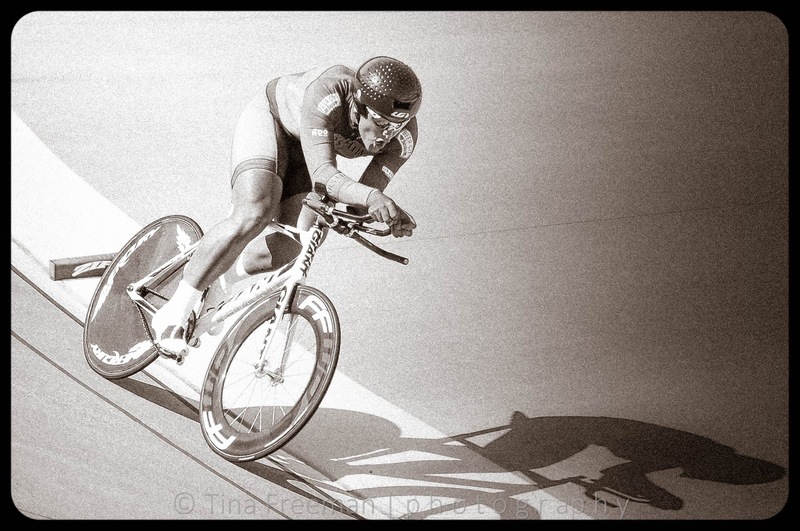 In the evening session, Croom narrowly lost his round two sprint and would compete for 9-12 place, where he would win each successive round over the next day to claim 9th place in the match sprints. Ritchie won her round two sprint and advanced to the quarterfinals. 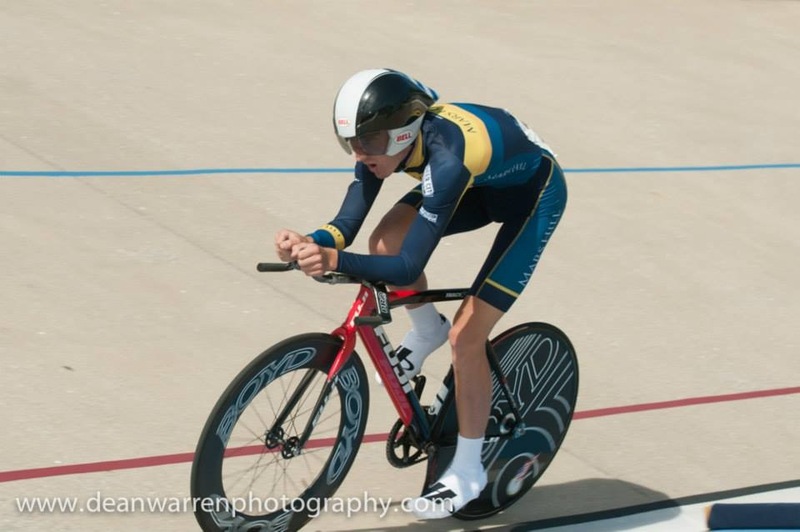 Her jump from BMX racing was blowing doors off. In her first ride in the quarterfinals (best 2 out of 3) Ritchie outjumped a rider from Colorado Mesa University and and handily won. In the second ride, it was clear that CMU was trying to neutralize Ritchie’s jump by going early, but Ritchie reacted and they were together at the bell. Anticipating each other, both tried to jump first in turn one, with Ritchie slotting into the sprinter’s lane first with CMU moving down into the lane on top of her, forcing Ritchie off the track and continuing on to win the second ride. Immediately we protested the ride and after reviewing an iPhone video that demonstrated our case, we took the video to the chief referee. 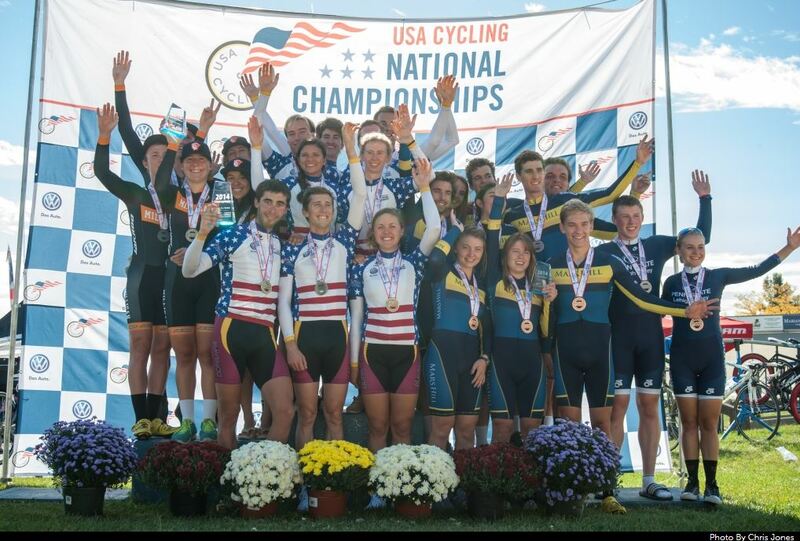 At stake was a podium at the national championships! After a lengthy review of the ride, officials decided to let the ride stand. In the final and deciding third ride, CMU got the jump on Ritchie and moved onto the semifinals. Ritchie would end up 8th in the sprint tournament, an impressive accomplishment for a freshman at her first track race ever. In the first men’s points race heat, Corey Davis was 2nd and Jack Drake was 11th, both qualifying for Friday night’s final championship event. Hunter Resek and John Croom weren’t as fortunate, but Croom would go on to finish 3rd in Friday night’s minor finals. Day 2: Individual Pursuits and Men’s Points Race Finals. In the morning session’s pursuits, we had four men and four women competing and nearly every rider set a personal best time. 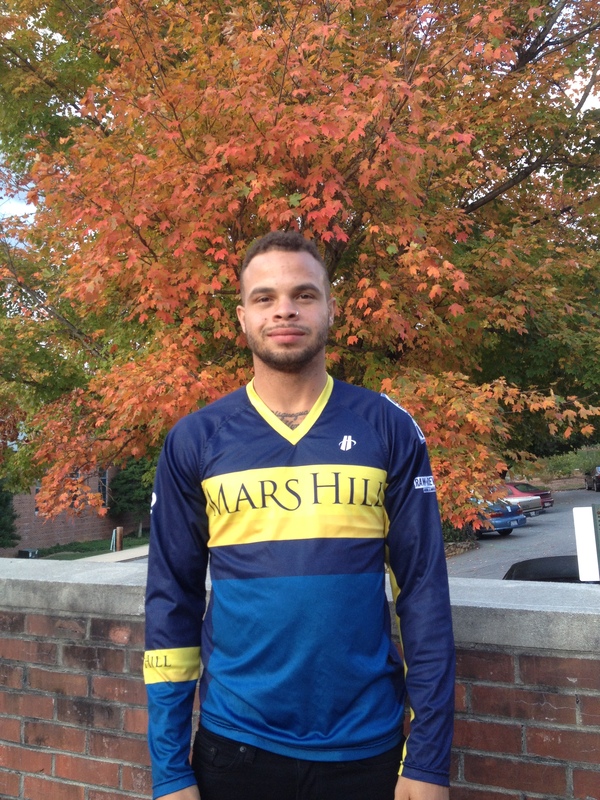 Davis posted a 5:04 to lead the men in the 4k event, with Croom a few seconds slower at 5:07. Alex Christofalos led the women with a 4:32 and Rachael Freeman had a 4:38 in the 3k event. The men’s points race finals started very well for Davis, who picked up 11 points in the first few sprints and was sitting in 2nd place. When a breakaway group of four coalesced with another group of four, the group of eight had enough representation and power to lap the field. Davis missed the move but still ended up a strong 9th place. Drake placed 16th out of the 30 riders competing in the final. Day 3: 1K and 500M Time Trials, Men’s Scratch Heats, and Team Pursuits. In the women’s 500M, Ritchie was a favorite based on her practice times of 39.5 seconds, which would guarantee a podium spot. Ritchie had a solid ride, posting a 40.25, which was good enough for first place and held up for some time. That time ended up being 6th place, one spot off the podium with 5th being a 40.24, less than one hundredth of a second faster. So close. Freeman was next for the team in 46.21 with Paige Shook right behind in 46.24. In the men’s kilo, Croom crushed it with a 1:10.41 which initially put him in the top three. After all riders had gone, it was good enough, again, for 6th place with 5th and the podium at 1:10.29. Drake also had a strong early ride of 1:13.2 which would end up 24th out of 65 starters. In the men’s scratch heats, Croom, Davis, and Drake all made it through to qualify for Sunday’s final championship race. In the team pursuits, the women’s goal was to focus on technique, smooth exchanges, and set a PR, which they did by nearly 20 seconds! Watch out for them in the future as they are motivated to return next year at another level of experience. 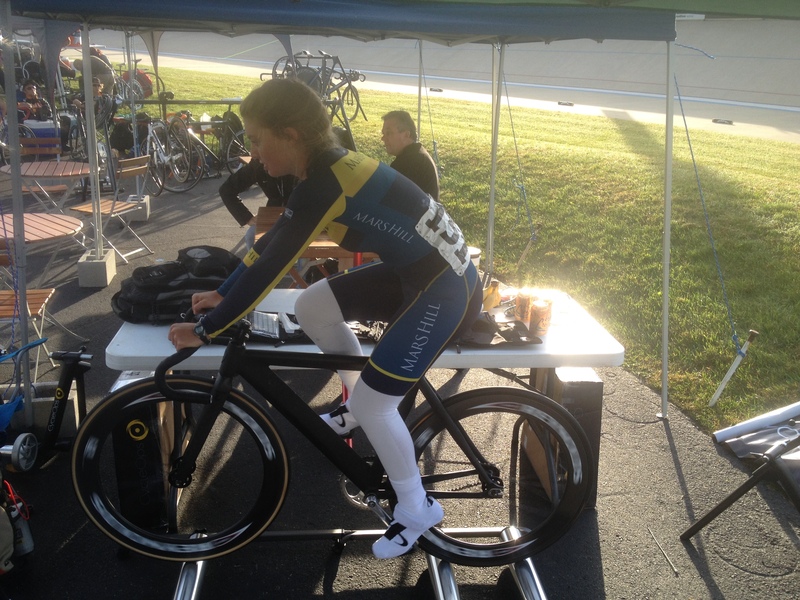 All of our women had never raced on the track before, so this was a big first step. In the men’s event, we were also focused on pacing and technique, but also knew that we could go quite fast. In practice, the fastest time the men had done was a 4:57. We put them on a 4:50 schedule, knowing that this would likely be good enough for a podium. They paced very well, posting negative splits for each kilometer, and finished with a 4:52, another PR and a ride that everyone was proud of. Day 4: Mixed Team Sprint and Men’s Scratch Race Finals. 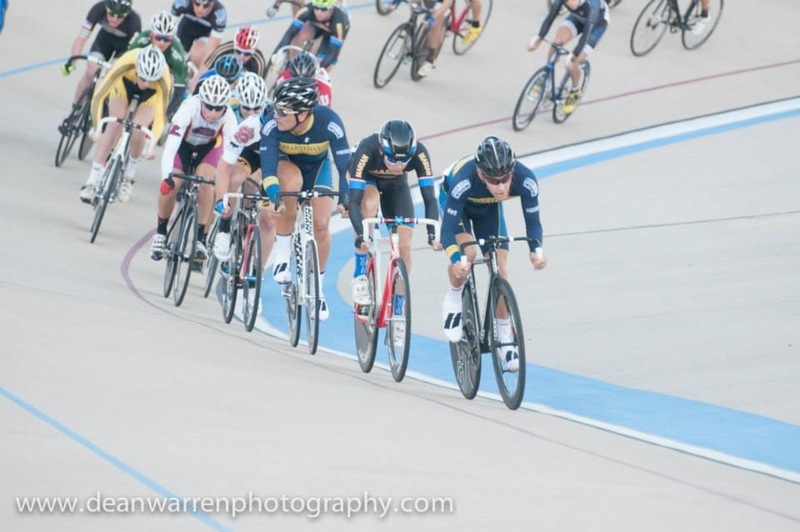 The mixed team sprint is unique to collegiate cycling. It’s six laps of the track with a woman required to do at least two of those laps. We started strong and ended up with a 2:23, which eventually put us in 7th and very close to the podium. 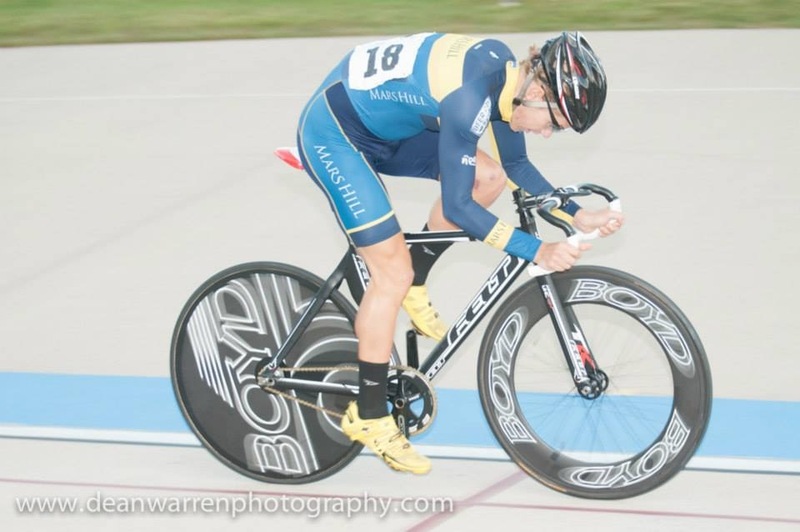 In the men’s scratch race finals, Davis was aggressive from the gun, making a leading group of four that included the race’s eventual winner. As the move got pulled back in the last few laps, we still had Davis and Drake in good position. Both had to avoid a crash in the last 200M with Drake able to finish a strong 6th and Davis in 10th. When all the points were tallied, we ended up the 3rd DII team overall, a solid spot on the podium and our best finish at a track nationals ever. A large part of our renewed interest and success in track racing can be credited to newly hired track coach, Kyle Knott, who’s been working with the team since August. Knott will continue to be involved with the program as we continue to dedicate resources to our current track team and make an effort to recruit more track specialists so we can return to nationals next year aiming for stars and stripes jerseys. Thanks to all of our SPONSORS who make these amazing lifetime experiences possible.